This paper concerns the teaching and learning methods, together with the tools utilised, in a third year undergraduate unit in the e-Business major at Edith Cowan University, Australia. The unit is entitled Web Commerce Development and it is relatively technical compared to other units within the major. The unit's aim is to expose students to e-Business technologies such that they gain an awareness of where and when to use those technologies. Many students are not 'IT' students and find the unit demanding. A task-based learning approach has been adopted in the unit. Students were required to complete a portfolio of on-line tasks and also to develop a web-based e-commerce system by utilising special 'shopping cart' software tools. An online evaluation of the unit was undertaken. The findings indicated that students found the task-based approach and the collaboration that took place in groups both enjoyable and helpful in their learning. The findings are fully discussed in the paper. Garner, S. (2005). The Use of Task Based Learning in a Web Commerce Development Undergraduate Unit. In P. Kommers & G. Richards (Eds. ), Proceedings of ED-MEDIA 2005--World Conference on Educational Multimedia, Hypermedia & Telecommunications (pp. 3117-3122). Montreal, Canada: Association for the Advancement of Computing in Education (AACE). Retrieved April 25, 2019 from https://www.learntechlib.org/primary/p/20560/. Amazon (2004). Amazon. Retrieved September 20, 2004, from: http://amazon.com. BlackBoard (2004). BlackBoard. Retrieved September 20, 2004: http://blackboard.com. Ki, W.W. (2004), ICT Applications in Task-Based Learning. Retrieved December 10, 2004, from: http://sites.cite.hku.hk/06Ch_06E.pdf. Laurillard, D. (1993). Rethinking University Teaching: A Framework for the Effective use of Educational Technology, London Routledge. McLoughlin, C. And Oliver, R. (1998). Scaffolding Higher Order Thinking in a Telelearning Environment. 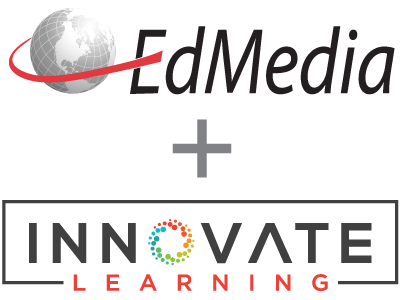 Ed-Media 98: World Conference On Educational Multimedia And Hypermedia, Virginia, 977-983. NoteCenter (2004). NoteCenter. Retrieved September 20, 2004, from: http://www.notecenter.net. Nunan, D. (1989). Designing Tasks for the Communicative Classroom, Cambridge University Press. Roehler, L.R. And Cantlon, D.J. (1996). Scaffolding: A Powerful Tool in Social Constructivist Classrooms. Retrieved September 15, 2004, from: http://www.educ.msu.edu/units/literacy/paperlr2.htm. Wild, M. And Quinn, C. (1997). Implications of educational theory for the design of instructional multimedia, British Journal of Educational Technology, 29 (1), 73-82.